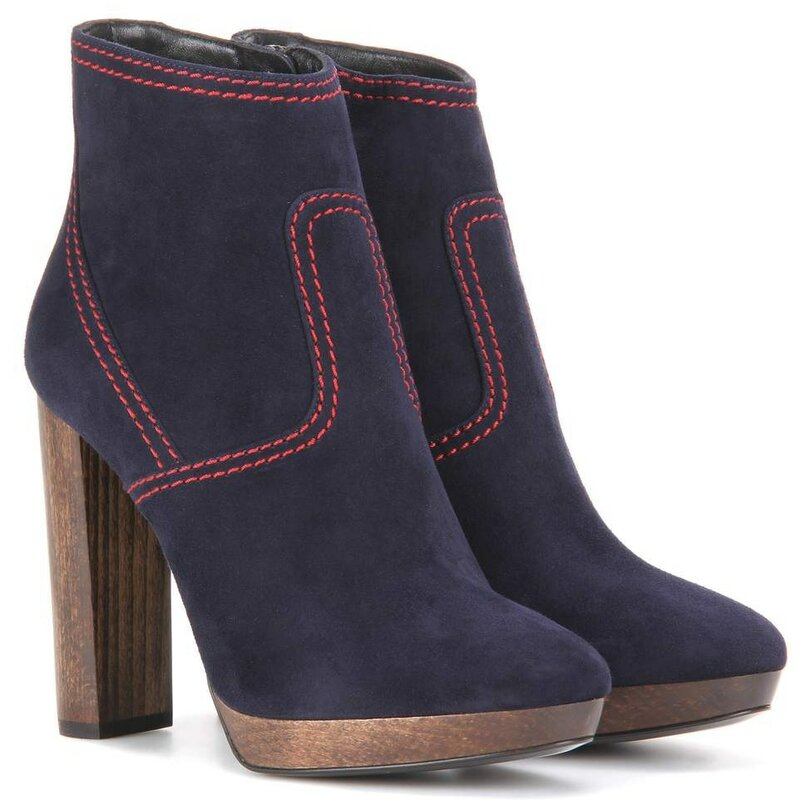 Burberry transports the classic ankle boot to new heights, outfitting the Hazelburst 115 with dark blue suede and a high, wood-effect heel. Red stitching outlines structured panelling for cool contrast. We're pairing these with our favourite trench coat for an easy dose of London-inspired style.